This Pilgrimage will have the opportunity to visit Schoenstatt, Koblenz, Metternich, Gymnich, Dachau, Wuerzburg, etc. in Germany and Cambrai, France. 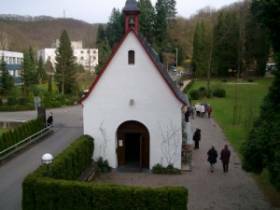 This pilgrimage will have the opportunity to visit Schoenstatt, Koblenz Metternich, Gymnich, Dachau, Liebfrauenhoehe, etc. in Germany and Cambrai, France. They will be present at the Jubilee Program on Sept. 15. This pilgrimage will have the opportunity to visit Schoenstatt, Munich, Dachau, etc. in Germany and Cambrai France. They will also be present at the Jubilee Program on Sept. 15. This Pilgrimage is for young women ages 15 and up. They will have the opportunity to visit Schoenstatt and the surrounding places and will be at the Jubilee Program on September 15th. They will join the other English Speaking Pilgrimage during the time as well. For more information please contact your youth sister.